Mother Beaulah Mae Holmes, 85, departed this life Thursday January 31, 2019 in Florence County. You may visit the family at 2615 Wisdom Lane, Effingham, SC 29541. She was the wife of Edward Holmes, the mother of Michael Holmes, Angelo Holmes, Renee' McCormick, Stanley Holmes, Rodney Holmes, Virgil Holmes, Jeffrey Holmes and the sister of Milton Campbell. Funeral services are scheduled to be held at the New Covenant Free Rock Church, 2712 Galloway Lane, Clio SC 29525 Sunday February 10, 2019 at 2:00 pm. She will be laid to rest in the New Covenant Free Rock Church Cemetery. Beaulah Campbell Holmes, known as "Bea"and "Mommy", passed away on Thursday January 31, 2019. Beaulah was born on February 24, 1933 in Gresham, South Carolina to Major and Amanda Campbell. She was baptized in Jesus' name at an early age and was a member of New Covenant Church of Jesus Christ. She was united in marriage to Edward H. Holmes on June 11, 1955 and was blessed with seven children. Beaulah was a dedicated faithful servant who held on to the name of Jesus and the truth go the Gospel until the end. Beaulah loved her husband and children, forever encouraging them to do their best and to not let adversities., setbacks, or any distractions of the world keep them from serving the Lord. Beaulah was a devoted wife, mother and a passionate supporter of her family. She has left the legacy of her love and perseverance. The ways she touched our lives will remain in our memories. In the words of dad, "She was always special to me....a loving wife and wonderful mother!" In addition to her parents, she was preceded in death by brothers; Leroy, Edward, Willie, Major, John, Levant and sisters; Rose, Pearline, Daisy, Golda and Carrie. 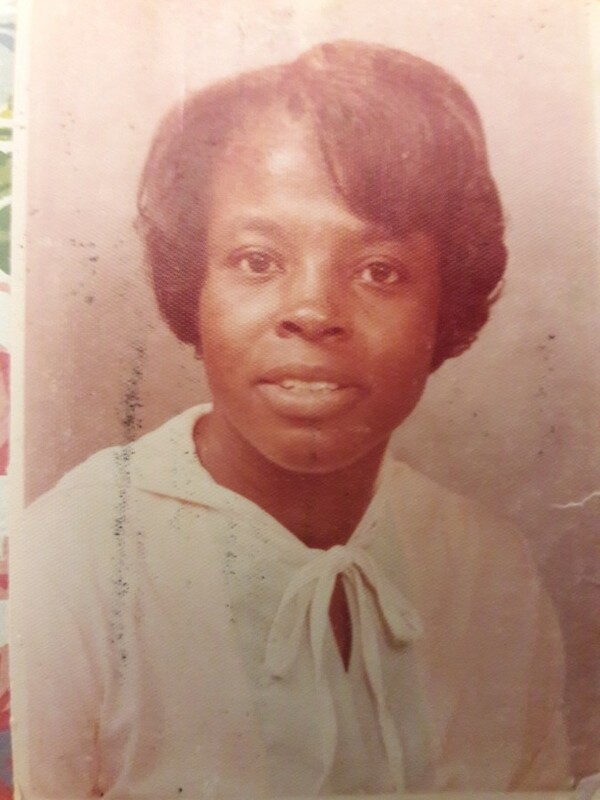 Beaulah, forever remembered by her husband of 63 years, Edward, six sons Micheal (Alice), Angelo (Carolyn), Stanley (Vanessa), Rodney (Antoinette), Virgil (Dorothy) and Jeffrey (Tonita) Holmes; one daughter Renee (William) McCormick, and one surviving sibling Milton (Vinnie) Campbell, twenty-one grandchildren, twenty-six great grandchildren and a host of nieces, nephews, other relatives and friends.